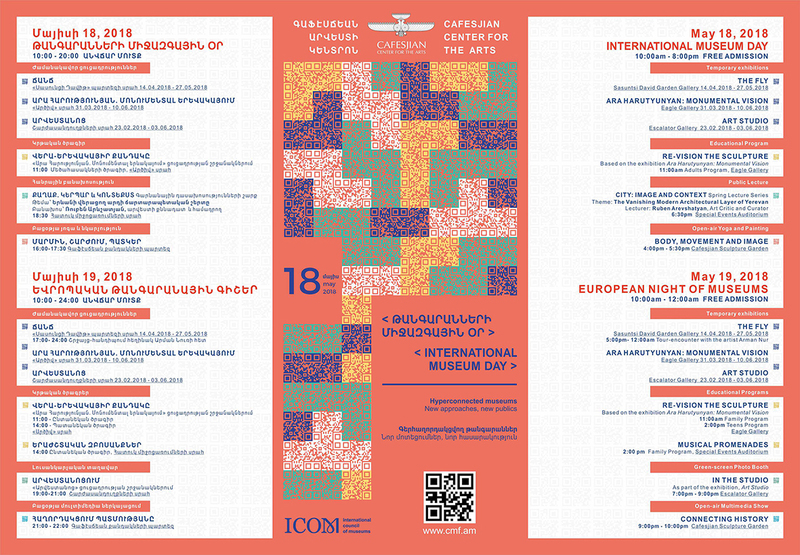 The Cafesjian Center for the Arts (CCA) invites everyone to celebrate together International Museum Day and Museum Night on May 18 and May 19, offering free admission to its galleries from 10:00 to 20:00 on May 18 and from 10:00 until midnight on May 19. The Theme of the International Museum Day 2018 is "Hyperconnected museums. New approaches, new publics"